Early Learning Centers can now promote interactive, educational fun with Go Fishing – the first in a series of new BEAM games that the company will release in the near future centered around interactive academic learning. The Israeli-based tech company EyeClick has completed development of Go Fishing, the first in a series of academically-focused games that will be designed exclusively for educational learning centers. The new series of educational games—beginning with Go Fishing—will be built for the company’s flagship interactive gaming platform, BEAM. Go Fishing will teach children the basics of colors and shapes. 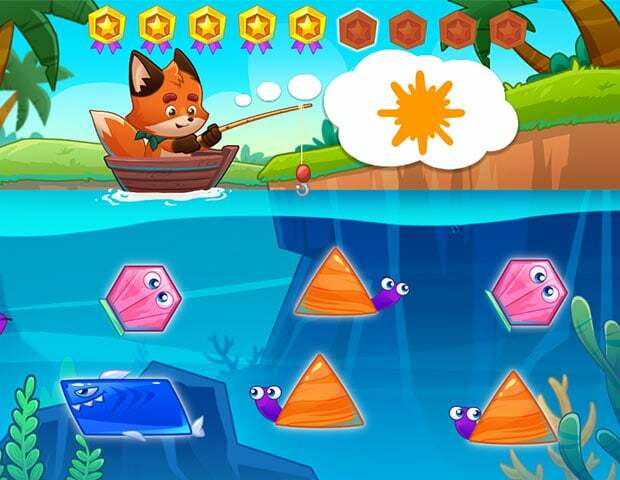 Children will help Vicky the fox, an avatar in a fishing boat, using their feet to hit the correct color or shape of fish swimming beneath the water. Successful answers will earn children points as well as praise from the Vicky aboard the boat. The game is scheduled for release on Friday April 28th, 2017. Subscribers to BEAM will have immediate access to it from day one. New games in the BEAM educational series will be available as they’re released. Please contact Paul Zonis at 914.219.0279 for more information about BEAM, EyeClick, and this press release.